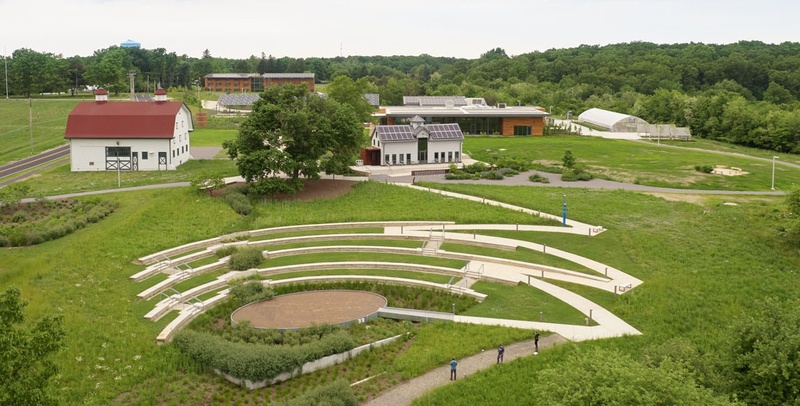 Chatham University’s Eden Hall Campus is the first new university campus in the world to be built sustainably from the ground up, featuring full-cycle water recycling, net positive energy production, and zero waste operations. Sustainability is at the heart of Chatham University's vision for the Eden Hall Campus. The new location, located just outside of Pittsburgh, is meant to exemplify Chatham’s commitment to environmentalism. Sustainability is also the focal point not the curriculum. The design goals for every building on campus are anything but standard: each is targeting Net Positive Energy and LEED Platinum certification.